Dr. Reed Richards is a Founding member and leader of the Fantastic Four, Having been turned into Mr. Fantastic by cosmic rays. He consider’s himself personally responsible for the accident that had happened on his test space flight. therefore responsible for each members condition after the accident. Therefor responsible for what happens to them as well as taking care of all for members. This is likely why he takes on responsibility as the team leader. 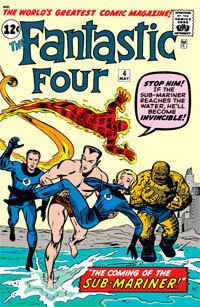 In the early issues of Fantastic Four, Reed Richards is engaged to Sue Storm. that is why Sue and her brother Johnny Storm where on the space flight with himself and Ben Grimm. *based off of what i have reviewed so far; updated daily as new comics are reviewed.